Latest Update (17.03.2019) : Good News !! Expected Cut Off Marks for SSC CPO 2018 Tier 1 Exam is available Now. Check Category wise SI ASI Delhi Police Paper 1 Cut Off Marks below…. SSC has announced Sub-Inspector in Delhi Police, CAPFs and ASI in CISF Examination 2018 (Paper-I) Result Date. 8,20,683 Candidates has applied for CPO Exam out of which 2,32,514 Candidates appeared in exam. SSC CPO Online Exam Result will announce in May, 2019. Check SSC Constable GD Result Date Notice from link given below…. Staff Selection Commission first time conduct online exam for Sub-Inspectors in Delhi Police, CAPFs and Assistant Sub-Inspector in CISF exam 2018. Computer Based Test conducted Region wise. Tier 1 Exam has been Started from 12 March 2019 & continued upto 16 March 2019. 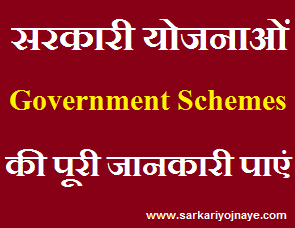 In this Article we are providing you information regarding ssc cpo answer key 2019 tier 1 exam. The tentative Answer Keys for the said examination will upload on the website of the Commission i.e. www.ssc.nic.in. The candidates may login using their same USER ID and Password. SSC will upload CPO 2018 Tier 1 Exam Answer Key on its Official Website. The candidates may take a print out of their respective Question Paper (s) along with Answer Keys. This facility will be available for the candidates for a period of one week. Search Link for Answer Key Challenge of Sub Inspectors in Delhi Police, CAPFs and Assistant Sub Inspectors in CISF Examination 2018 (Paper – I) – Uploading of Tentative Answer Keys. After Entering your User ID & Password, you can check SSC CPO Answer Key 2018. Take Print out of it. Answer Key Challenge : Candidates can submit representations, if any, from dates mention in notification through on-line method only on payment of Rs. 100/- per answer. Representation received after the due date will not be entertained under any circumstances. SSC CPO Aspirants can ask about any query related to Exam. You can leave a Message as your Query. You can also send us Email related to your Query. when will counselling start this week of august or 2nd week of august….please reply me as soon as possible. counseling may start after 3rd week of august.